Spend some quality time with your kids and make banners and school posters as part of their school project. 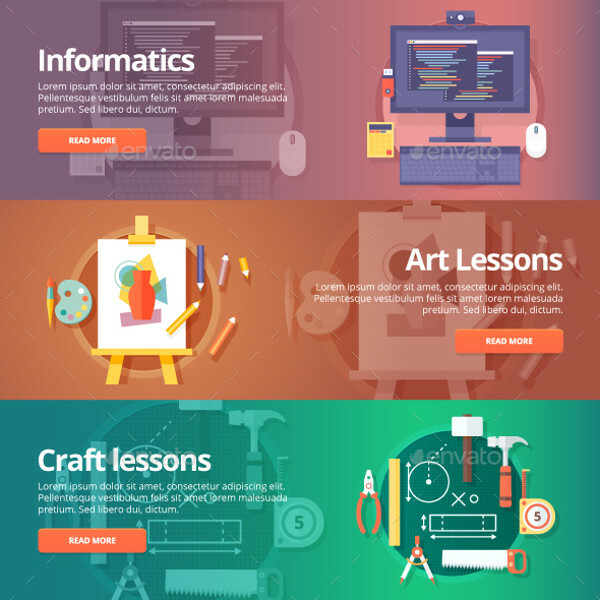 These templates are used by companies and college universities, for their products and so. 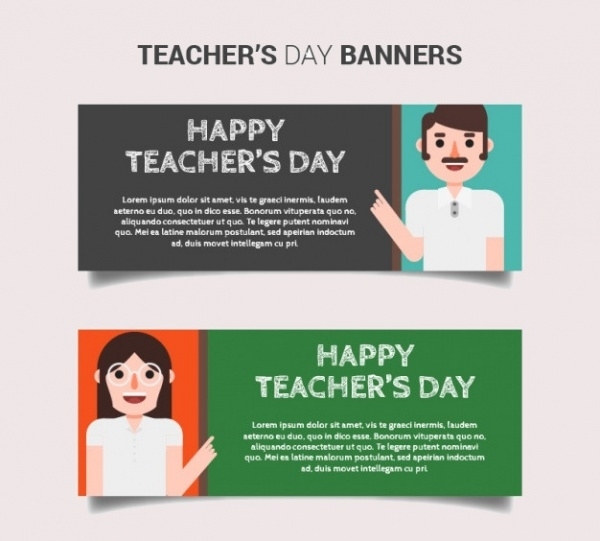 These education banner templates can be used to liven up the school halls and cafeterias, to add color to your classroom. These templates are easy to edit and customize. These templates are in varying ranges, to suit your every mood. You may also see Graduation Banner Designs. 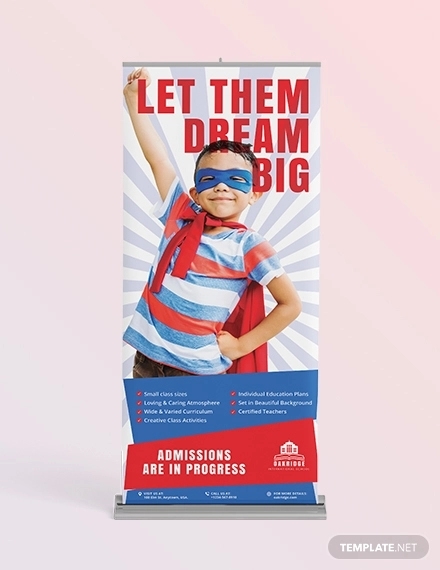 This roll up banner design is simple and elegant, which can be used for college and graduation party banner announcements. They can be edited to suit your needs. 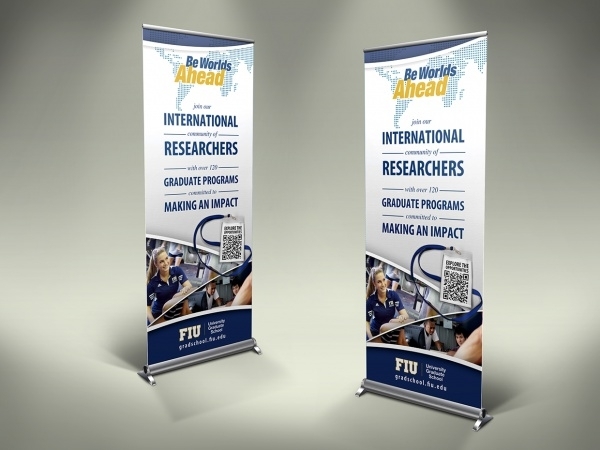 You may also see Welcome Banner Designs. 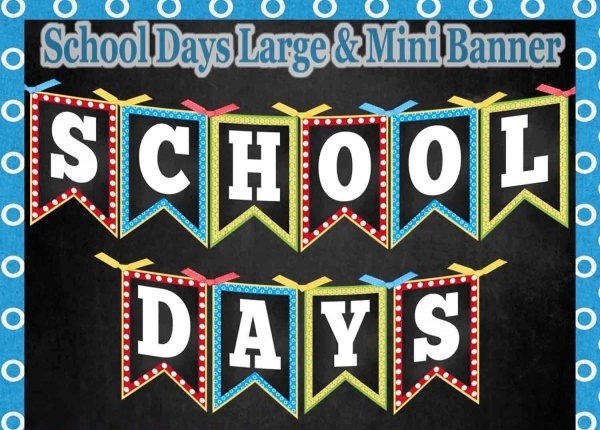 This school banner is cute and simple, with a happy boy with an apple next to a chalk board. The templates can also be used for Halloween, to suit your needs. You may also see Real Estate Banners. 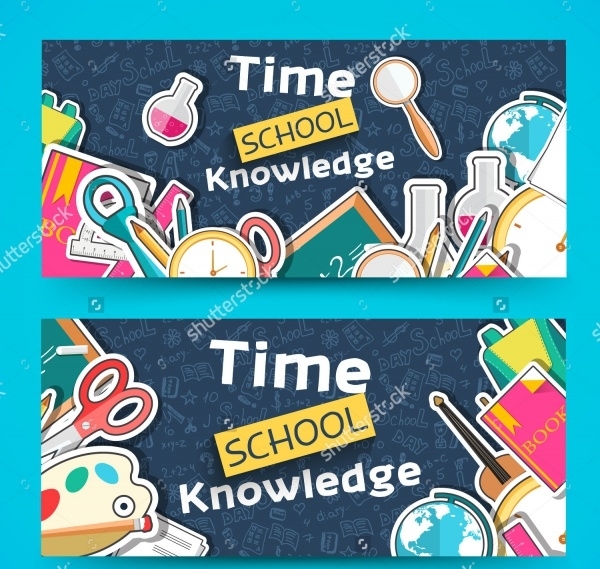 This sensible and practical school banner design is available in two design forms. They are both easy to edit and can be used for various purposes. The chalkboard writing makes it lively. This science and technology poster is creative looking, available in three colors. They can be easily edited. This poster is lively and attractive, with bright backgrounds and interesting pictures. 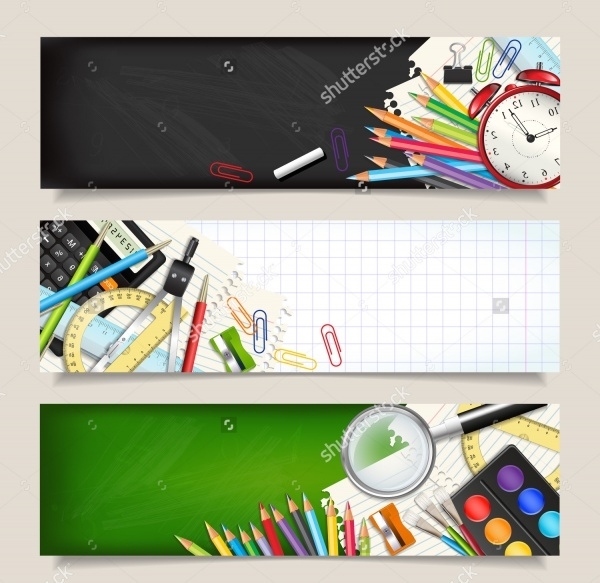 This colorful back to school banner is available in high resolution and in various sizes. 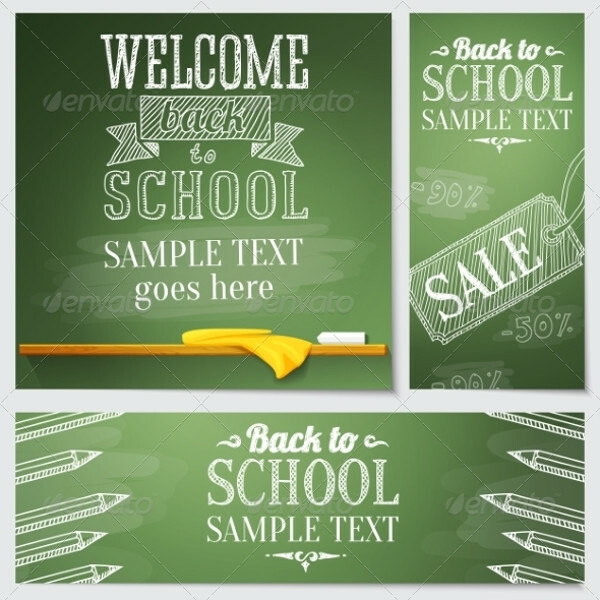 This chalk board writing of back to school sample template is cute and simple. They can be easily resized and modified. 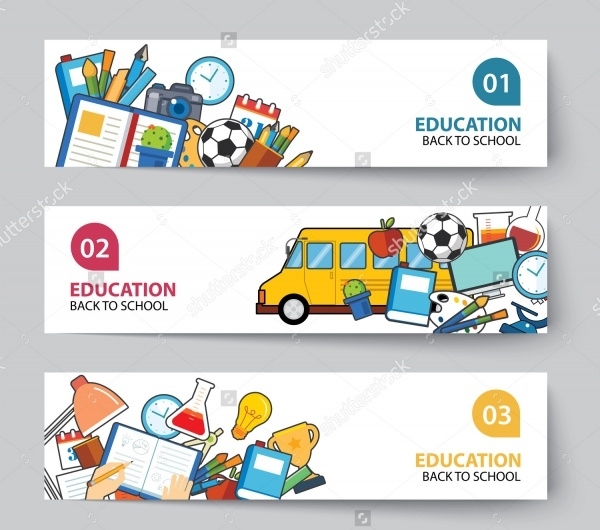 One of the best school banner design templates, these set of three templates are variant and is available in high-resolution. They can also be resized to suit your poster needs or craft projects. 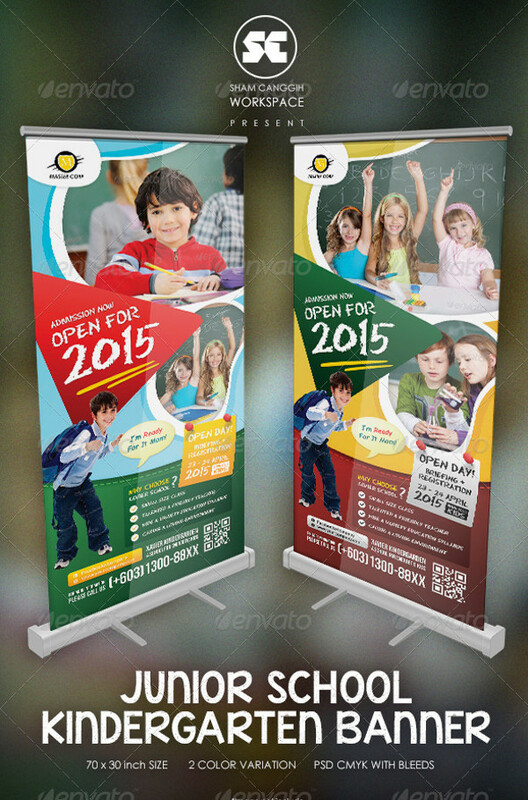 This pull up banner design is attractive and can be used for any age range, from kindergarten to corporate use. 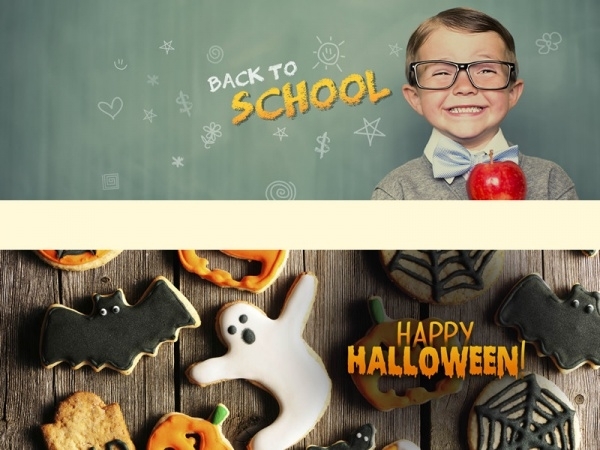 These simple back to school banner templates are available in three sets, and in high resolution. They can also be resized to suit your project needs. 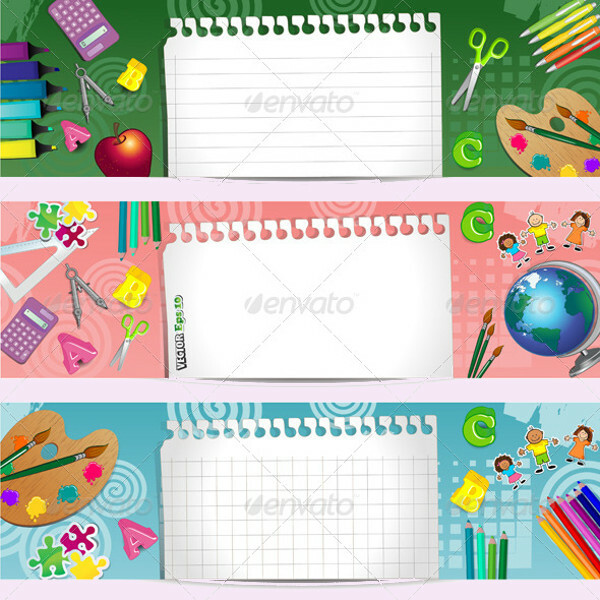 These horizontal school templates have a set of three backgrounds, with a note pad in the middle, which can be used for School calendar, weekly bulletin and other memos. 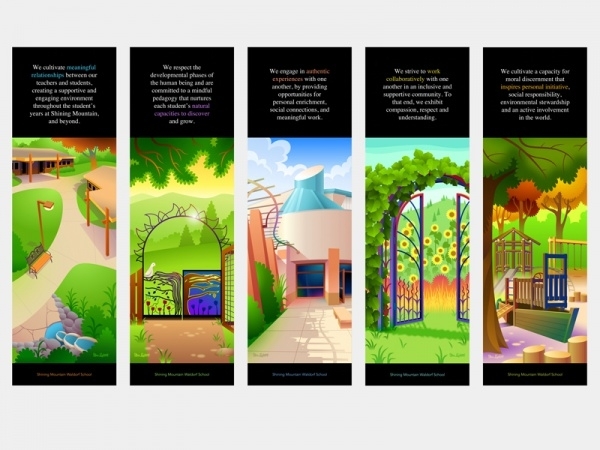 These vertical free school banner designs are available in three backgrounds and in high resolution. 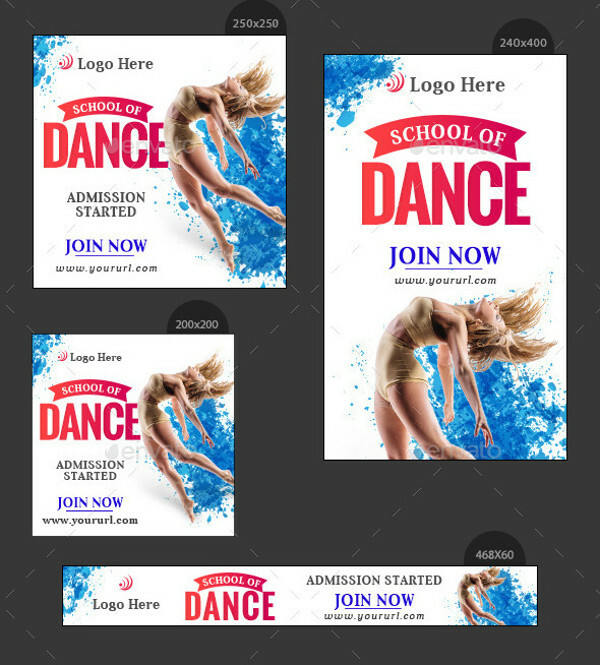 These set of 16 banner templates is designed for a dance school niche, which is available in various sizes, for different posters and banner templates. The PSD template is easy to edit. 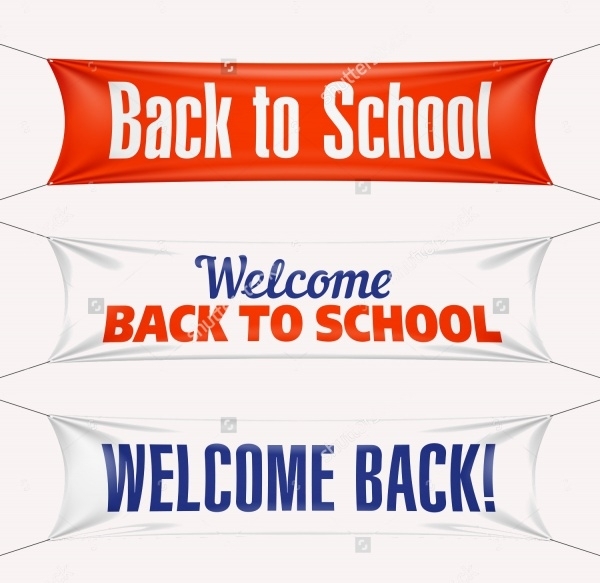 This cute horizontal back to school banners are attractive, with a designed background and bright pictures. They are available in high resolution and in many sizes. 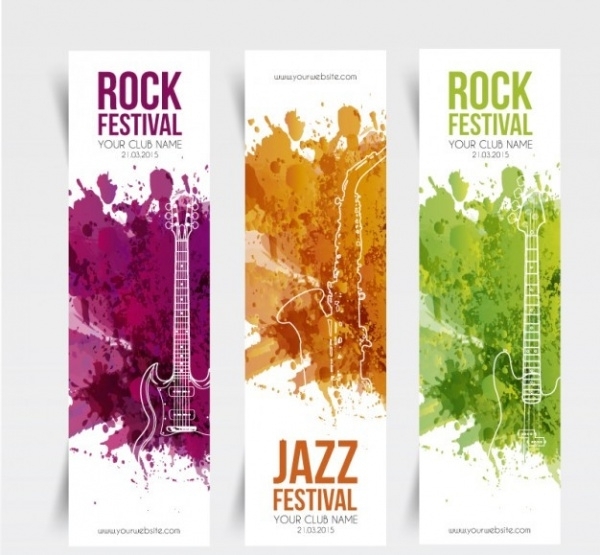 This is available in three attractive colors, these banner templates can be used for concert templates also. They are easy to edit and customize. 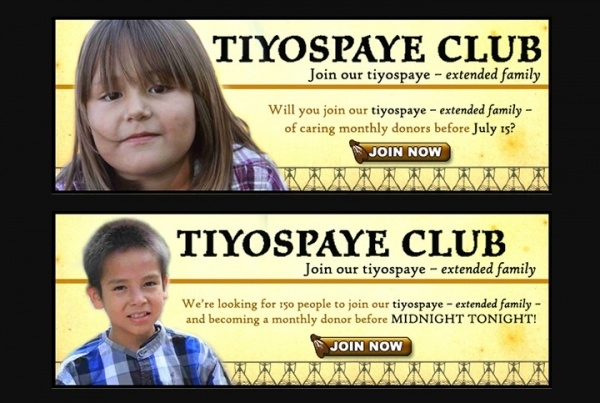 This simple horizontal banner design is attractive, with the use of a bright yellow background and sensible font. 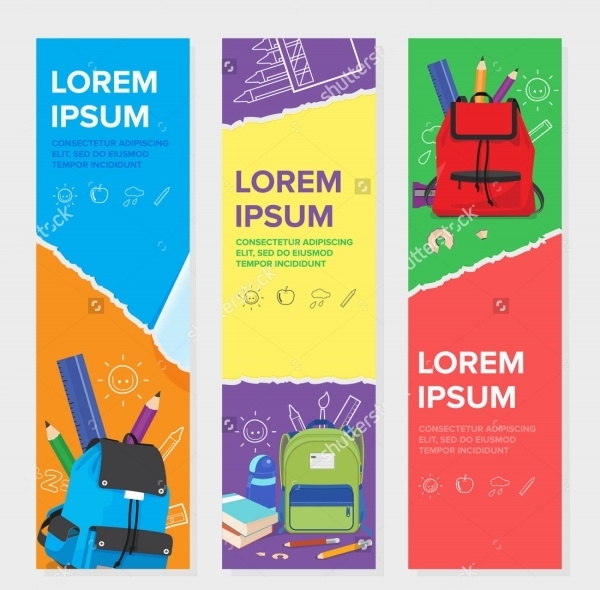 Make the most of it by using these super cool school banner templates and customize your own for your school children. 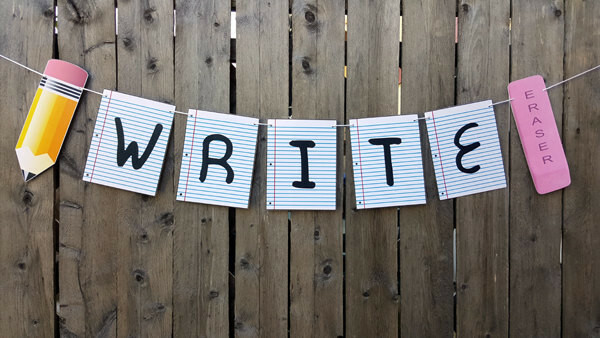 Make a project out of it and invite your kids in making a fun banner for your class time table or a calendar. These templates are so popular that even companies use these templates as skeletons for their product banners and marketing presentations.